The Xanadu’s ideal growing zone is 9b-11. 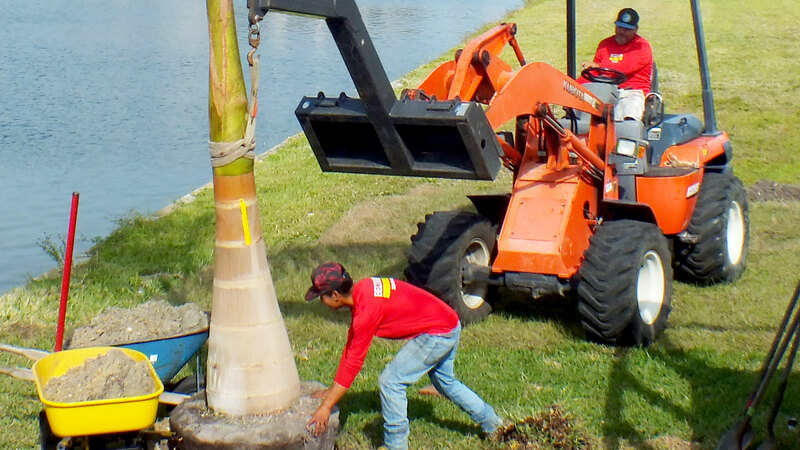 It’s known as a foundation plant and can be used to highlight taller palms, add a secondary level to your landscape design or accent colorful topical shade plants. A rounded pillow shape develops as they mature. Partial shade is preferred. They’ll grow to a maximum height of 3 feet with a spread of 5 feet. So, be sure to provide at least 36 inches between plantings, especially young container materials. Soils should well draining and be sure to water consistently until they are established. 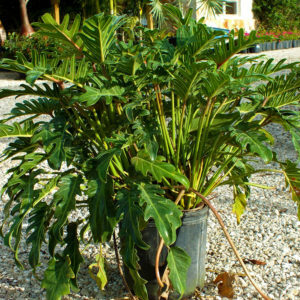 Learn more about this shade plant and others by calling 239-362-4327. The Variegated Ginger grows best in zones 8-10. It’s white green leaves add a sense of texture within a landscape of smaller plants, around a palm tree or as an architectural accent. A moderate grower, with a moderate salt tolerance, it can reach heights of 3-6 feet, with a spread of 5-8 feet. They prefer partial shade with a well draining soil that is evenly moist. Use a thick layer of mulch to hold moisture in the soil. After the first bloom, you can fertilize with an acidic fertilizer. It should flower in its second year. with a white green and a purple’ish-red’ish stem and new leaf growth. Come by our nursery today or call to learn more at 239-362-4327. 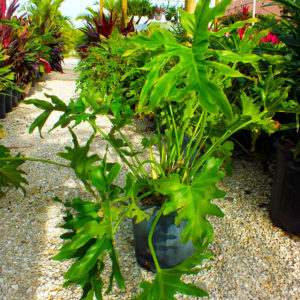 The Philodendron is a tropical shade plant that will grow well in your zone 10 landscape in and around Punta Gorda, Florida. It’s rich green leaves and mounded shape are a perfect as second or third level within a tiered landscape design. Maximum height is 8-10 feet, with a 6 foot spread. Consistently irrigate but allow time for the ground to dry out. This schedule is ideal for the informal tropical hedge. Place near an entryway or use as a palm accent. It’s beauty, versatility and ease of maintenance are notable. 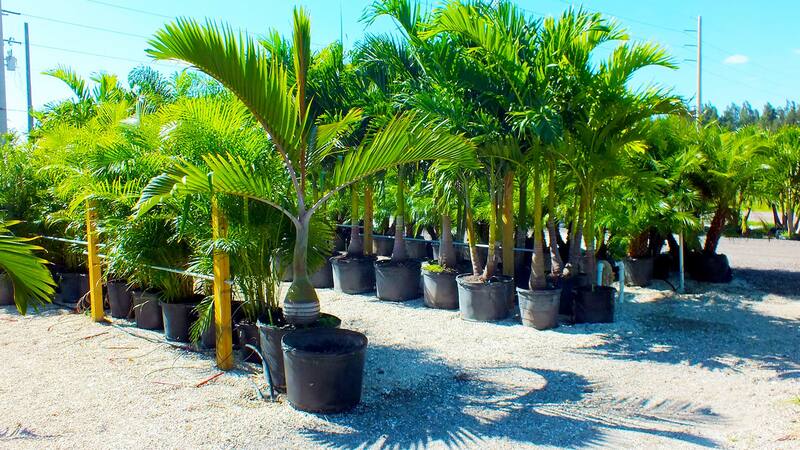 Visit our nursery on Taylor Road in Charlotte county or call us at 239-362-4327. 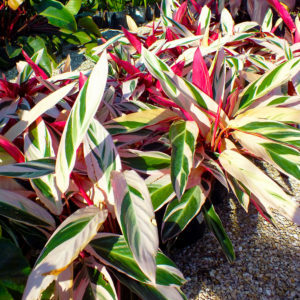 The Red Congo is a lush tropical shade plant that does well in most Southwest Florida landscapes. 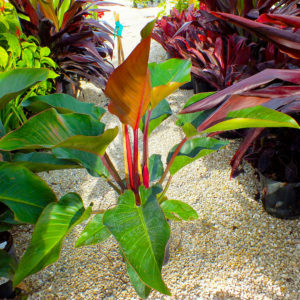 Their red stems and vibrant green leaves will add depth and color when planted in groups or below palms or other trees. It’s a fast grower that can reach 3 x 3 meters when mature. They love the warm humid climate in zones 9-11. They prefer shaded areas where the soil is moist, dense and rich but can also be planted in the sun. Summer rains will provide ample water but you’ll want to ensure consistent irrigation during the dry season. 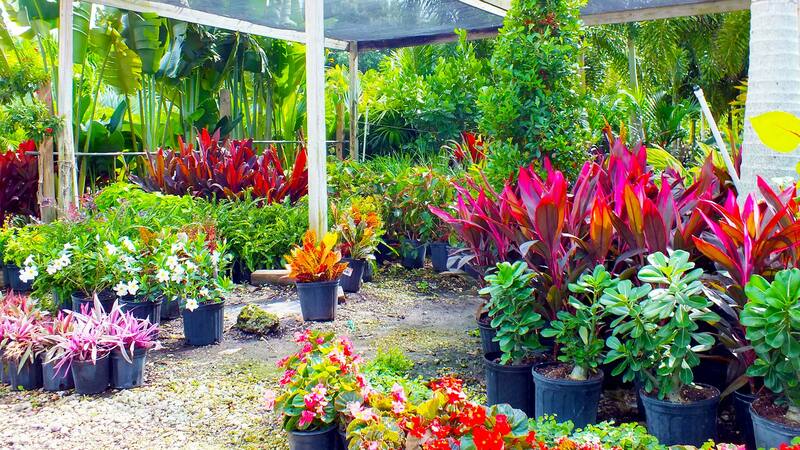 Tour Beltran's Nursery today or give us a call today at 239-362-4327.